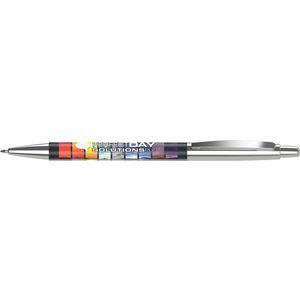 Beo Identity burger swiss pen. 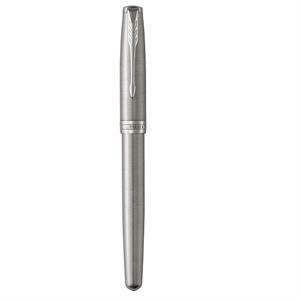 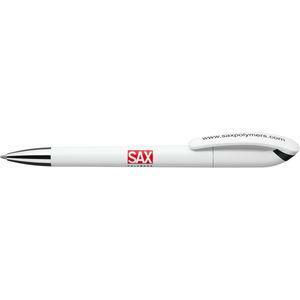 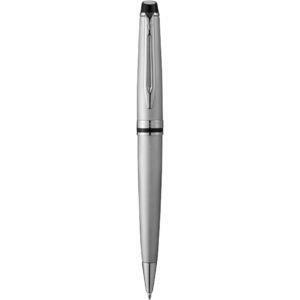 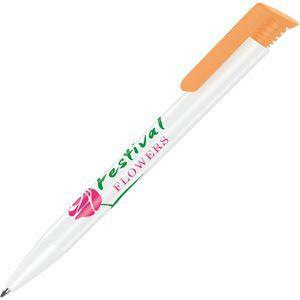 Twist action quality ballpen, barrel and clip part shiny white with clip ring available in 37 different colours. 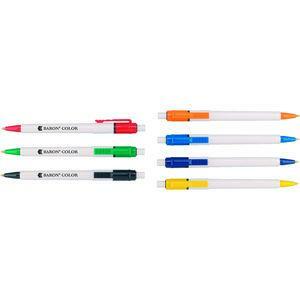 Metal tip and jumbo refill with choice of black or blue ink.